of the border, including those who lead in the City of San Diego. Team administrators and a handful of players visited with Mayor Kevin Faulconer Monday at City Hall. Faulconer and his staff City Hall staff welcomed Joe Corona, Paul Arriola, Alejandro Guido and Fernando Arce Jr. along with team Deputy General Manager Roberto Cornejo. 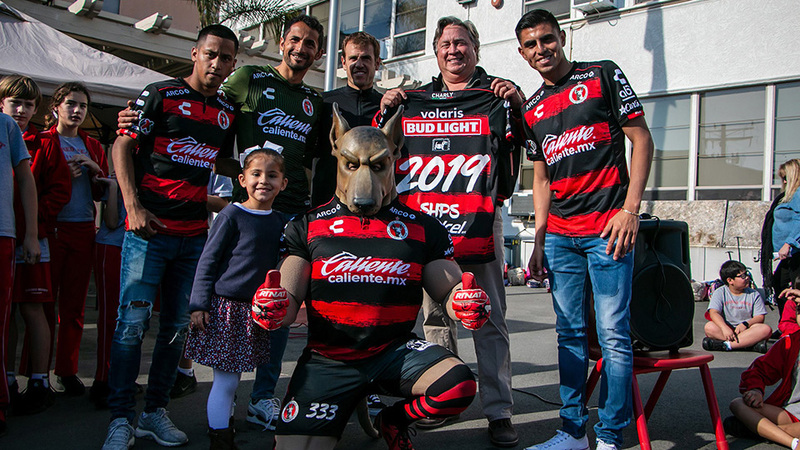 The Xoloitzcuintles (Xolos) presented the Mayor with a soccer ball signed by the team and a personalized jersey with the numbers “619” on the back. Faulconer wore the Xoloitzcuintles jersey and praised Club Tijuana for its work on and off the field in both San Diego and Tijuana. 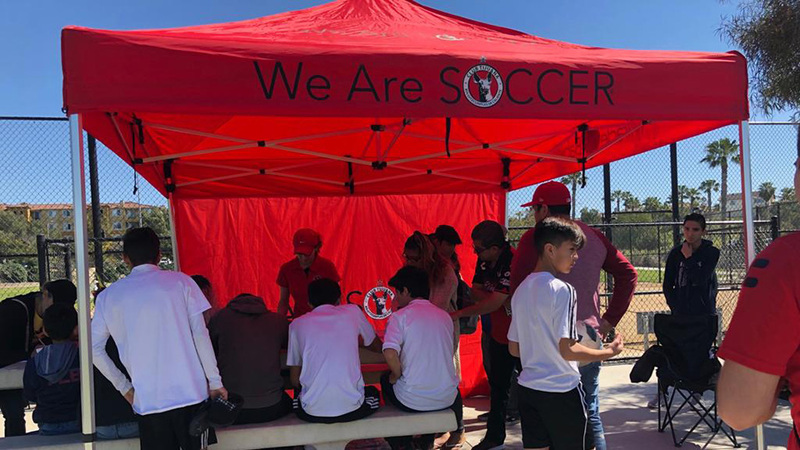 What Club Tijuana is doing is giving back to the community and helping to cement ties between both cities. The team takes pride in being meshed with the community on both sides of the border. Meeting with Mayor Faulconer, who has spent his first year in office working to strengthen the economic and cultural ties between San Diego and Tijuana, reinforces the club’s commitment to being San Diego’s soccer team. 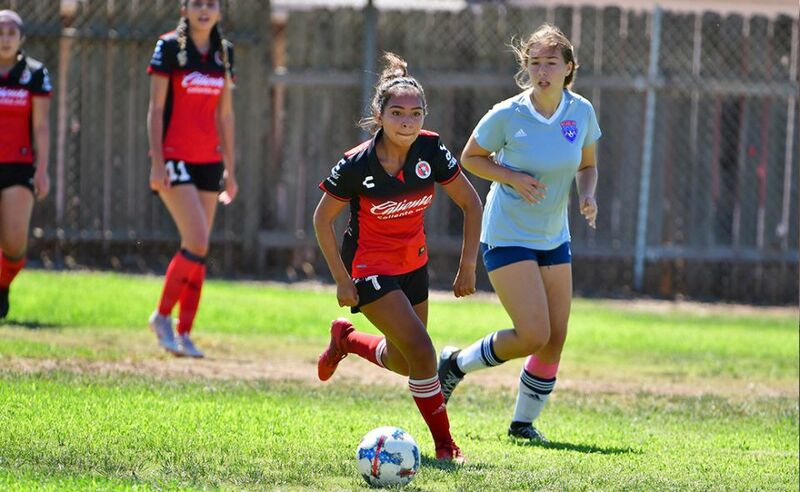 The Xoloitzcuintles (Xolos) has spent its eight years of existence reaching out to soccer fans in California and it wants to show its appreciation by saluting its area leaders. San Diego is home to a large number of Xoloitzcuintles fans that bring a vibrant atmosphere to home matches at Estadio Caliente. The team and its President Jorgealberto Hank Inzunza thank the community of San Diego for its support. All four players who visited the Mayor Monday are from San Diego. Joe Corona is a Sweetwater High (National City) graduate. Paul Arriola and Alejandro Guido graduated from Mater Dei High (Chula Vista), while Arce was born in Chula Vista. These four players are also members of the United States National Team at different age levels. 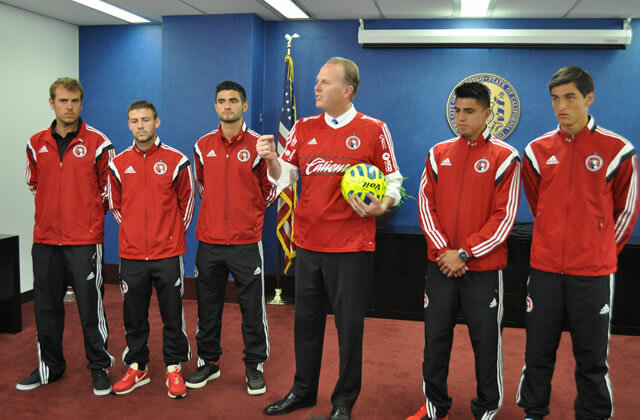 Club Tijuana hopes to build a long-lasting and productive relationship with the Mayor and the City of San Diego.